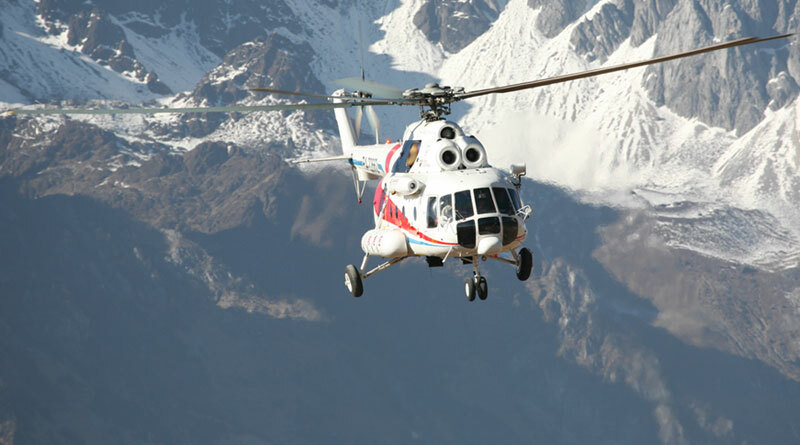 The CEO Russian Helicopters, Andrey Boginsky, said that China has about 20 civilian Mi-8/17 helicopters, and the company had previously reiterated several times that national operators are interested in the latest versions of this type. “Cooperation of Rostec’s holding companies made Mi-171 more attractive for business, having reduced the cost of its operation due to using new technologies,” he added. The Mi-171’s versatility and performance characteristics made it the first popular helicopter in the world. Over 11,000 Mi-8/Mi-17 helicopters have been produced to date and are in service in over 80 countries. China is the said to the largest operator of Russian helicopters in the Asia-Pacific region. Fighting fire and transporting cargo at an altitude of up to 3,300 meters, the Mi-171 helicopters with VK-2500-03 engines demonstrated its key advantages, such as the thrust-to-weight ratio and safety of operation in the mountains, in the best possible way. During the demonstration flight, the helicopter carried three tons of cargo and nine passengers from the altitude of 2,600 meters to the altitude of 3,300 meters. The machine also showed how it takes 3.5 tons of water in the helicopter bucket at the altitude of 3,000 meters and then pours it in the center of the fire. Besides, on the ground, as part of a static show people saw unique capabilities of Mi-171 in terms of passengers and firemen quickly getting on and off the machine. The certified Mi-171 helicopter with the VK-2500-03 engines was first presented at China International Aviation & Aerospace Exhibition held in Zhuhai. The VK-2500-03 engine is designed and supplied by JSC. ‘UEC-Klimov’ is very powerful (compared to the TV3-117VM engine, series 02) in any flight mode and at any altitude due to heat-resistant materials and improved design. The introduction of the BARK-78 digital automatic control system makes it possible to run the engine more properly, ensures closer control over operations in all modes and makes the operation simpler. The use of VK-2500-03 engines in Mi-171 helicopters ensures higher load capacity and increases the absolute and static ceiling. Besides, greater available engine power in an emergency mode ensures greater safety during the flight with one running engine.